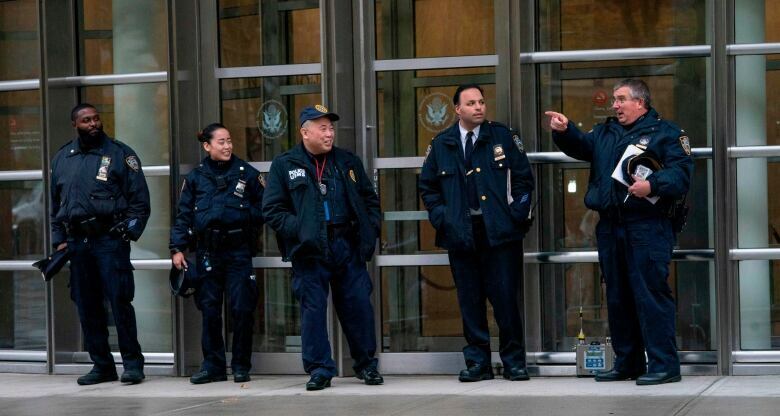 The trial of accused Mexican drug lord Joaquin "El Chapo" Guzman has begun with lawyers' opening statements in a federal court in Brooklyn, N.Y., amid intense public attention and extraordinary security measures. 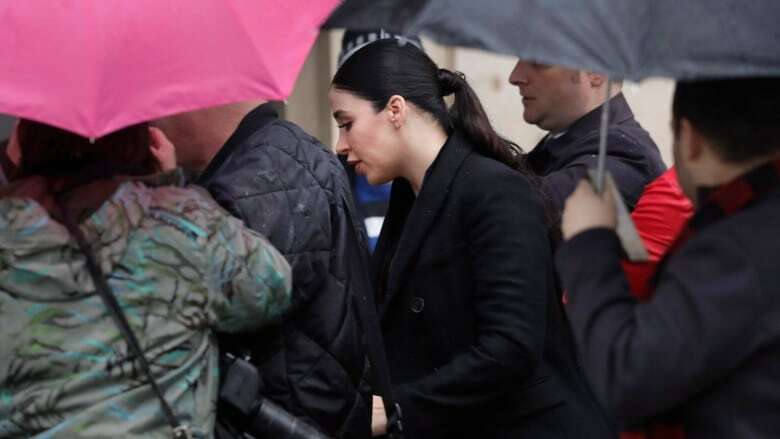 The trial of accused Mexican drug lord Joaquin "El Chapo" Guzman got underway Tuesday with lawyers' opening statements in a federal court in Brooklyn, N.Y., amid intense public attention and extraordinary security measures. 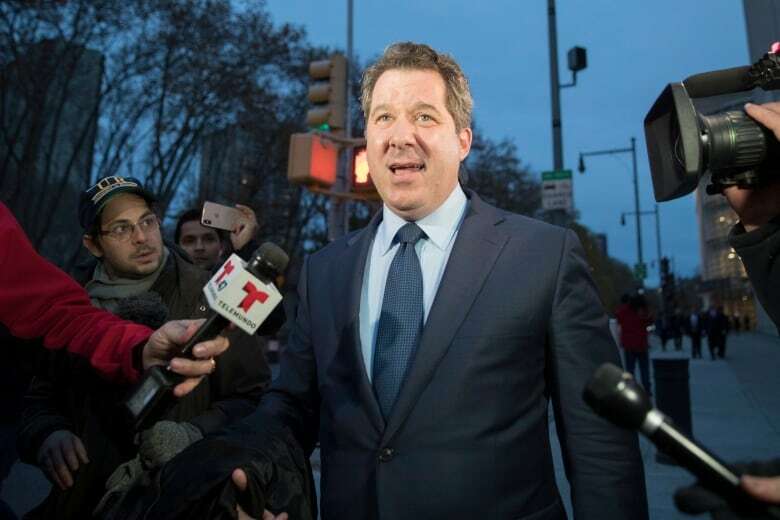 Assistant U.S. Attorney Adam Fels told the jury they'll see Guzman's text messages as he led an organization that directed massive shipments of heroin, cocaine and other illegal drugs to the United States. The prosecutor described how Guzman started modestly in the early 1970s by selling marijuana in Mexico, but built his reputation as leader of Mexico's Sinaloa Cartel and by building tunnels across the Mexico-U.S. border to transport drugs. Guzman, 61, faces 17 criminal counts and a potential life sentence if convicted. Defence lawyer Jeffrey Lichtman, in his opening arguments, said it would have been impossible for Guzman to be in charge of the vast drug-dealing organization since he was either in jail or in hiding the entire time of the alleged conspiracy. The lawyer said the real boss was another kingpin who paid millions of dollars in bribes to the current and former presidents of Mexico to evade capture. He identified the alleged drug trafficker as Ismail "El Mayo" Zambada and described his client as a "scapegoat," adding the "real leaders are living freely and openly in Mexico." Former Mexican president Felipe Calderon said on Twitter the allegation of bribes are "absolutely false and reckless." A spokesperson for President Enrique Pena Nieto called the claim "false and defamatory." Lichtman is set to resume his closing argument on Wednesday. Guzman's trial is expected to last into next year. As well as smuggling drugs to the U.S., the cartel has played a major role in narco-violence between rival gangs that has torn areas of Mexico apart and defied successive governments. Guzman's lawyers earlier signalled that they intend to downplay their client's role in the cartel and argue that the prosecutors' witnesses are motivated by self interest and not believable. Guzman, who was extradited to the U.S. after twice breaking out of prison in Mexico, has been kept in solitary confinement in Manhattan and was transported to the courthouse in Brooklyn in a heavily guarded motorcade. 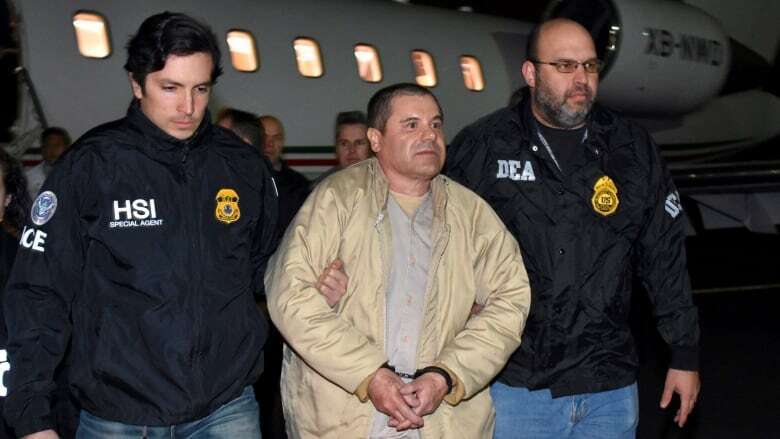 The security around him is so strict that U.S. District Judge Brian Cogan, who is presiding over the case, last week denied a motion by Guzman asking to hug his wife before the trial. The jurors will remain anonymous and be escorted to and from court by armed U.S. marshals. Prosecutors have said the security is necessary because of Guzman's history of intimidating and even ordering murders of potential witnesses. Guzman's lawyers have called those claims unfounded. Prosecutors have taken extraordinary measures to protect witnesses they plan to call during the trial, which could last up to four months. According to court filings, those witnesses will include former Sinaloa Cartel members and others involved in the drug trade who are now cooperating with the U.S. government. None have been publicly named, and some may testify under aliases. Guzman was one of world's most wanted fugitives until he was captured in January 2016 in his native Sinaloa. He was extradited to the United States a year later. A lawyer Guzman has said he's ready to defend his client and has nothing to prove. Eduardo Balarezo spoke to journalists while entering the courthouse Tuesday. In 2009, Forbes Magazine put Guzman on its list of the world's richest people, with an estimated $1 billion US fortune but investigators say it is impossible to know exactly how much he was worth. He used his wealth to buy off politicians, police chiefs, soldiers and judges, Mexican prosecutors say. His nickname, a reference to his five-foot six-inch height, is often translated in English as "Shorty." Several former Guzman associates are known to have struck deals to cooperate with U.S. prosecutors, raising the possibility that they will appear on the witness stand. They include Vicente Zambada, son of top Sinaloa Cartel figure Ismael Zambada, who pledged to co-operate in a plea agreement made public last week, and Chicago-born twins Pedro and Margarito Flores, one-time drug traffickers who secretly taped Guzman. The defence is being spearheaded by Eduardo Balarezo and William Purpura, who previously defended Mexican drug lord Alfredo Beltran Leyva. Rounding out the team is Lichtman, best known for securing the acquittal of Mafia boss John Gotti's son. Beltran Leyva, once a partner and later a rival of Guzman, was found guilty of U.S. drug charges and sentenced to life in prison by a federal judge in Washington last year.